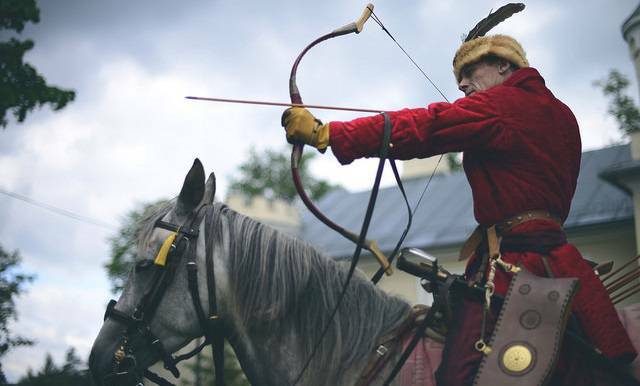 Nocking an arrow is the second step in an archer shot sequence, crucial for an accurate shot. The arrow is snapped into place on the string so that it won’t move during the shooting process. A ‘nock’ is the designated spot on an arrow that will pinch onto a bowstring. When an arrow snaps into the nocking point on a string, then the archer no longer needs to worry about holding the arrow in place. Nocking an arrow may seem like an obvious step in the shot sequence, but it is completely necessary. If an archer forgets to nock the arrow, or even does it lazily, then the shot will be completely off target. Not only is it important for accuracy, but it is the last opportunity to test the equipment before the shot. Especially in competitive archery, nocking the arrow is a crucial step in the shot routine. An archer should use this step to test the bow, the string, and the arrow before an important shot is taken. With this step-by-step guide to nocking an arrow, you will be able to nock an arrow and test the equipment before a shot is taken. 1. Hold the arrow shaft with the thumb and index finger of your dominant hand, near the nock behind the fletching. 2. With your non-dominant hand, hold the bow with the string toward your body, and the bow parallel to the ground. 3. Rest the arrow shaft onto the bow’s arrow rest. 4. Ensure the fletching is pointing in the right direction. 5. The slot in the nock should be aligned with the string. 6. Rotate the bow upright. 7. When you pull the string back, the nock should snap into place. ‘Fletching’ are the feathers at the end of the arrow, right before the nock. It is important to only use your thumb and index finger so that you don’t place too much stress on the arrow. With extra pressure, the nock or nocking point could be damaged. The bow should always be pointing down range toward the target. This is a proper safety procedure that all archers must maintain. As long as the bow is facing the target, then it is not dangerous for anyone nearby. There is a section on the bow itself where the arrow can be placed while setting the nocking point. The arrow rest and the nocking point are used together, one to hold the arrow onto the string and the other to keep the arrow from moving. When used together, the rest and the nock make it so the archer does not need to apply any pressure to the arrow to keep it in place. The ‘right direction’ varies based on each type of bow. For a recurve bow, the index feather should be pointing away from the riser, toward you. The index feather is the one feather at the end of the arrow that is a different color. When the index feather is pointing away from the string, then the other feathers are not going to make contact with the string during the shot. There are many different types of arrow rests for compound bows, so there is not one general rule for placing the fletching. The types of compound bow arrow rests can be split into three groups: drop-away, whisker biscuit, and traditional. For a drop-away rest, then the index feather should be pointing toward the ground. For a whisker biscuit rest, the index feather can point anywhere. For a traditional rest, the rules for a recurve bow apply. The index feather should be pointing toward the archer. The nock on the arrow should face the string so it can eventually snap into place. Another sign that the nock is in place is the index feather on the bow will be pointing up while the bow is parallel to the ground. Before you bring the bow to shooting position, make sure the arrow is right at the nocking point. When you bring the bow up, the arrow should slide up and into the nocking point. ` Once you hear the arrow snap into place, then you know that you have nocked successfully. If the nock did not snap into place, there are several possible reasons that are easy to fix. If some of the nocks snap in correctly but others don’t, then it is a problem with the nocks. The most common problem is that the nocks are not all the same size. A bow can only take one size nock, and if it is too big or small then it won’t fit into the string correctly. You know the nock is too big if it slips out of the nocking point, and you know it is too small if it fits too tightly. If you think the nock is the right size, then the string itself can be changed. The center serving comes in different strand sizes, where a smaller strand size fits a smaller nock. If multiple nocks that are the same size do not snap the same way, there is a problem with the string. The center serving is usually the source of the problem. The center serving is an extra wrap around the bowstring where the arrow attaches. If the serving seems worn, then it is most likely the cause of failed snaps. Luckily, center servings are easy to replace. By following this step-by-step guide to nocking an arrow, you will be able to nock an arrow perfectly. If the arrow does not snap into place every time, then you can check the two common equipment malfunctions to find the problem. When you add nocking the arrow to your shooting routine, then you are adding accuracy and efficiency to your shot.